I hope families that book with me are looking for the best baby photos they could possibly have and it’s my goal to make sure that’s what every client walks away with. 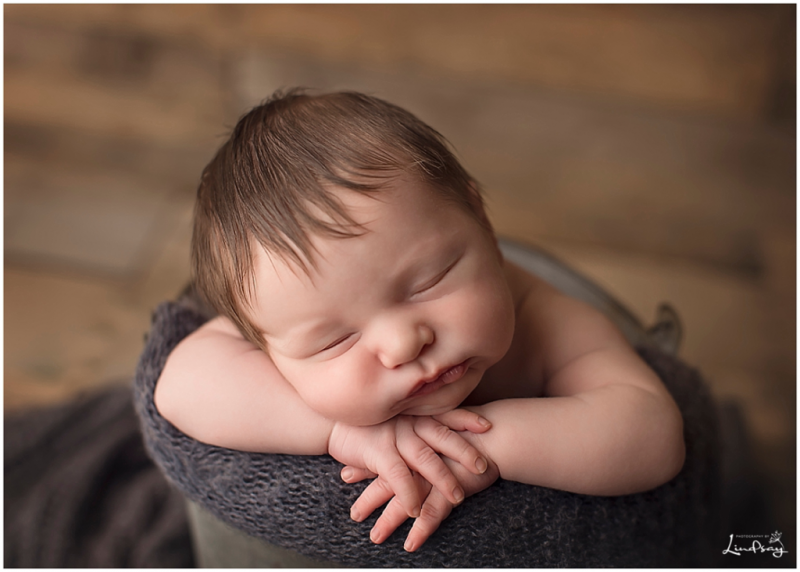 If you’re familiar with my work, you know that I specialize in newborn photography. Babies are my passion. I just love working with newborns and little ones during their first year. What many people don’t know about me is that also have another love of photography. I love photographing high school seniors. They’re so much fun and it’s always nice to get out of the studio for a bit and shoot on location. This little guy is actually the nephew of a couple of my high school senior clients. That’s right, I first meet this family when I photographed this sweet boys Aunt and Uncle for their high school senior portraits. Mom asked for blues and greys for this session. Lucky for her, I’ve got a ton of props to choose from. 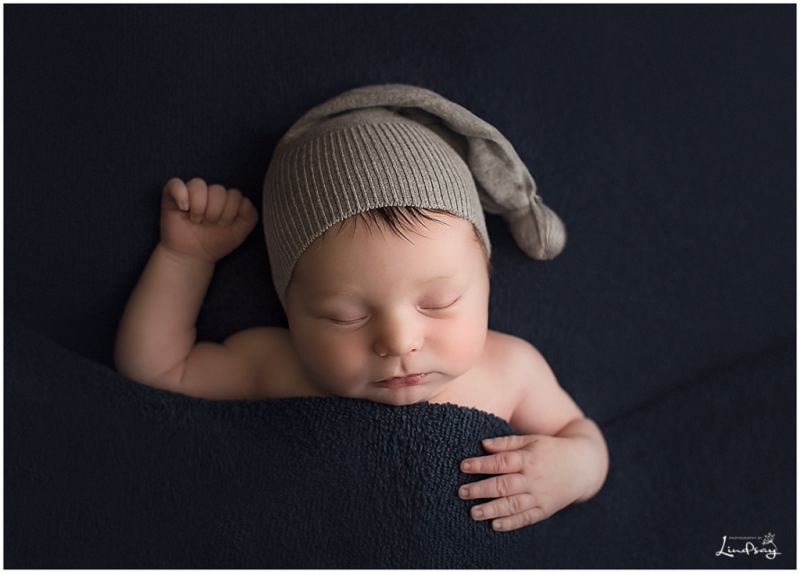 Here are a few of my favorite images from little Kohen’s newborn session. I hope I was able to provide them with the best baby photos ever. If you’d like more information regarding a session with Photography by Lindsay, please feel free to contact me. I’d love to hear from you!